In the meantime here's a picture I took earlier this month of an ant drinking sweet stuff off of a mealybug. I read a book about this when I was a kid. 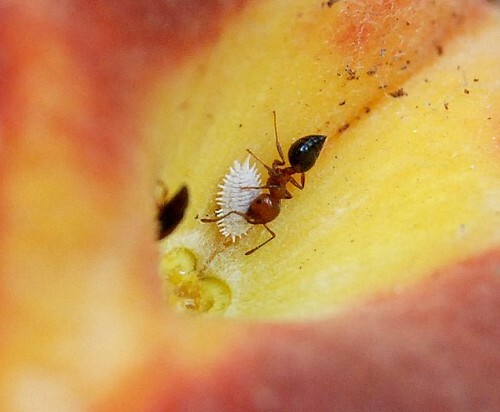 It was told from the ant's point of view and the mealybugs were like cows. It's neat to get to see the real thing happening in nature.